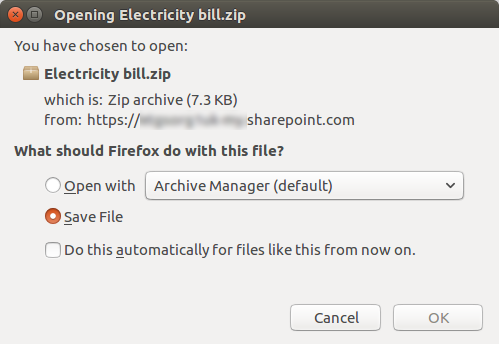 These emails are well-designed fakes that look very similar to actual Energy Australia messages - see screenshot above. 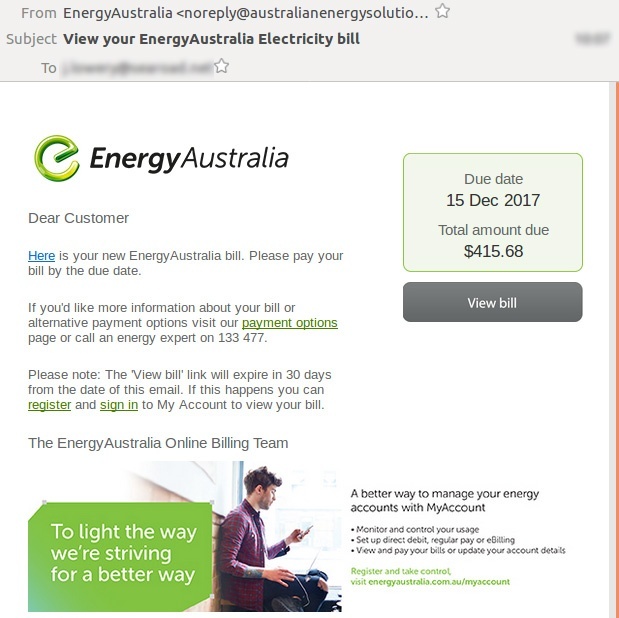 Although the ‘sender’ display name on these emails is ‘EnergyAustralia,’ the actual sender URL is australianenergysolutions[dot]com; a new URL that was registered yesterday in China. MailGuard has successfully protected our customers from receiving this email, but they will be landing in unprotected inboxes, so please keep an eye out.